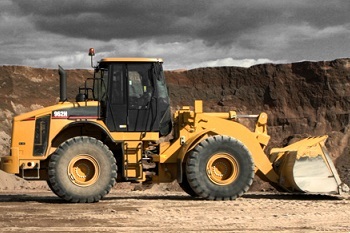 Dynamaxx offer a wide range of Earthmover tyres and specialise in Loaders, Dumpers, Graders and Mobile Crane applications. Dynamaxx focus on offering a low price point but with a quality that will stand up to the day to day demands of modern machinery. As a rule the Dynamaxx range of tyres offer high wear resistance for maximum service life in the harshest conditions, using leading compounds to deliver products that have improved cut and puncture resistance. With an eye on affordability the Dynamaxx tyre range ensure you can keep your site running without investing in premium brands that come with a premium price tag, often without the premium performance to back it up. Check out the extensive range of Dynamax tyre products below. With the Dynamaxx All Grip+ and Omni Grip+ tyres your loaders, dump trucks and graders will be working for you at all times, and invest in the L5 Lug Trac for when your working conditions demand extra protection. If you have mobile cranes amongst your arsenal, then the Dynamaxx HSS road tyre will give you the stability, low noise and reduced vibration that your machines and drivers deserve. The Dynamaxx All Grip+ tyre has a standard E3/L3 rock lug pattern which combines excellent traction and high resistance to wear and cutting. It offers excellent traction in all off-road conditions, and the Dynamaxx All Grip+ tyres thick undertread gives improved puncture resistance. It's high quality carcass allows for excellent retreadability and it has a wear and cut resistant tread compound. The Dynamaxx All Grip+ tyre has a wide, flat footprint profile for maximum stability and wear, with increased net-to-gross for improved tread life. 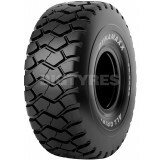 The Dynamaxx All Grip+ tyre is engineered for Loaders \ Dump Trucks \ Graders. 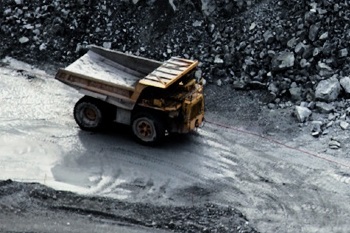 The aggressive, self-cleaning tread design of the Dynamaxx Dumper Grip tyre provides excellent traction and flotation in articulated dump truck and loader applications. With carefully formulated compounds the Dynamaxx Dumper Grip tyre also ensures you get even wear and a long tread tread life. The Dynamaxx Hauler Grip tyre has a deep E4/L4 lug pattern that combines excellent traction and high resistance to wear and cutting. The Dynamaxx Hauler Grip tyre is specifically designed to minimise vibration at haul speeds, and provide the lowest cost-per-hour. 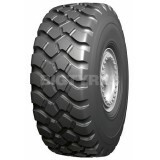 It has excellent traction in all off-road conditions and a deep undertread for improved puncture resistance. 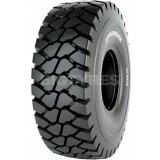 The Dynamaxx Hauler Grip tyre is engineered for Loaders \ Dump Trucks. The Dynamaxx HSS Road+ tyre offers excellent stability and traction, with a heat-resistant compound that is suitable for mobile cranes. 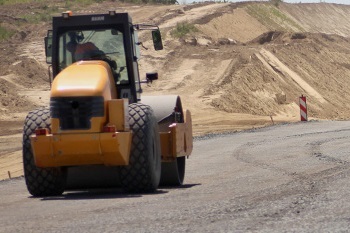 It offers low road noise and reduced vibration and is suitable for on and off-road use. The Dynamaxx HSS Road+ tyre is engineered for Mobile Cranes. The Dynamaxx Lug Trac tyre has an extra deep L5 offset lug pattern that combines excellent traction and high resistance to wear and cutting. The Dynamaxx Lug Trac tyre is specifically designed to maximise service life in the harshest applications. It gives excellent traction in all off-road conditions and it's deep undertread improves puncture resistance. 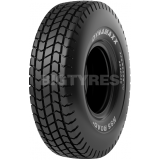 The Dynamaxx Lug Trac tyre has a reinforced bead, shoulder, and sidewall. It has a specialized mining compound for increased cut and impact resistance. 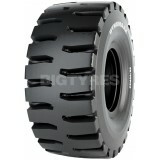 The Dynamaxx Lug Trac tyre is engineered for underground Mining \ Loaders. The Dynamaxx Omni Grip+ tyre is a standard E3/L3 rock lug pattern combining excellent traction and high resistance to wear and cutting. It offers excellent traction in all off-road conditions. The Dynamaxx Omni Grip+ tyre has a thick undertread for improved puncture resistance and a high quality carcass that allows for excellent retreadability. 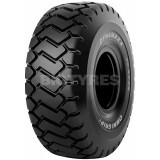 The tyre has a wear and cut resistant tread compound. The Dynamaxx Omni Grip+ tyre is engineered for Loaders \ Dump Trucks \ Graders.